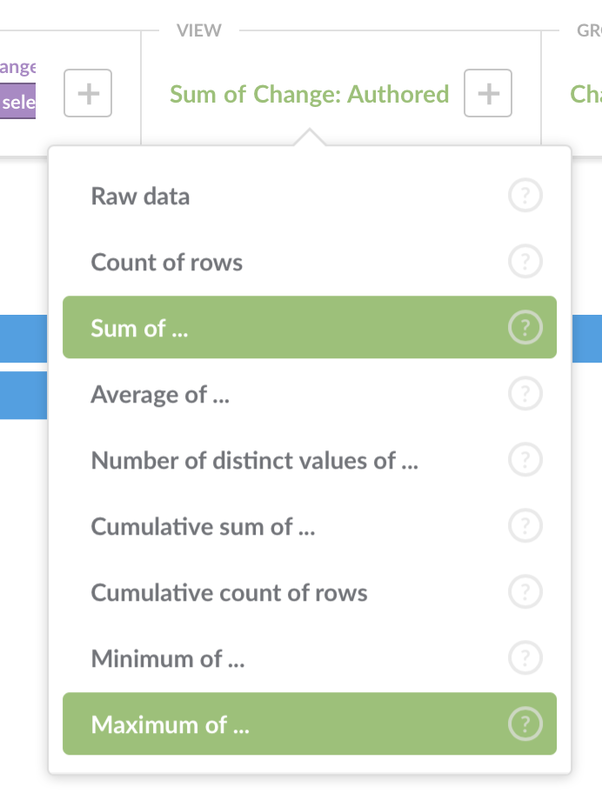 MongoDB how to subtract two sums? oh - I use an SQL Database, that might be the reason that you don´t have the functionality there? (and I use v0.25 but I doubt they would change that in v0.27). Can you build questions using SQL syntax rather than the query builder? Again, not sure if that is possible if you use MongoDB. But using SQL syntax you can calculate fields quite easily. Hope you figure it out!! @sameer for some reason I do not have a “Custom Expression” Editor. See screenshot below. 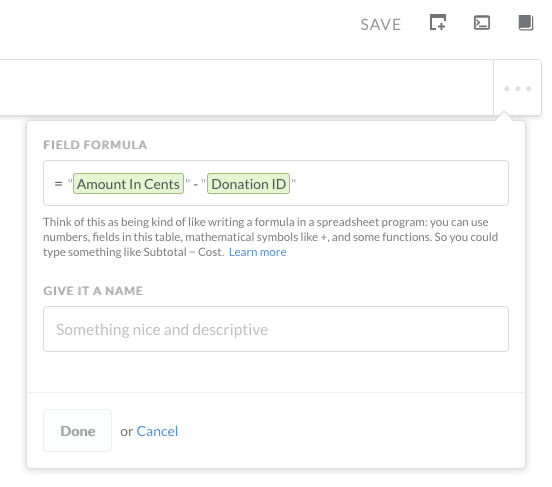 Metabase v0.27.2, MongoDB v2.6.10. I can confirm that Custom Fields are not available on MongoDB. 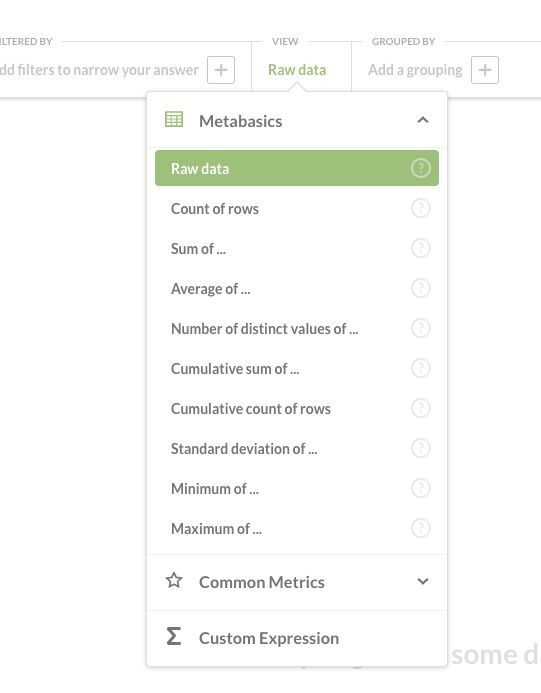 Using version 0.28.6 of Metabase. This would be indeed very much needed functionality, is there existing feature requests for this?